Hollywood’s stereotype of estate planning usually features assorted nieces, nephews and cousins gathered in the drawing room of a 100-year-old mansion greedily waiting to hear what an eccentric rich relative left them. By the time the scene is over, no one is happy – and that part, at least, has some veracity. Thousands of people fight over money every year after someone has died, especially if that person did a poor job of planning what would happen with their assets. But families don’t have to be rich to get in an uproar over who should inherit what. And unfortunately, the average person doesn’t show the same kind of concern about estate planning that the rich do – and that’s a mistake. People often think, “Well, I’m married so everything will just pass along to my wife or my kids.” But it doesn’t always work that way. For example, in some states your brothers and sisters could possibly inherit part of your estate, even if that wasn’t your intent. This is the most basic of estate-planning documents, yet a Caring.com survey this year showed that more than half of Americans don’t have a will. A will can provide certainty and clarity and eliminate the grey areas when property is moving from one generation to the next. Don’t just assume everything will end up with the people you want it to if you fail to leave specific instructions. Not everyone needs a trust, but it often makes sense. Basically, a trust allows you to control your assets from the grave. You can set certain restrictions, which is especially helpful if your kids are young or they don’t really manage money well. That way you may be able to keep them from blowing their inheritance all at once. For example, a restriction might be that they don’t receive the money until they earn a college degree. It’s important to assign someone power of attorney so that if you become incapacitated that person can speak on your behalf and sign important documents. You can also have a living will to outline your wishes, which could help your family make tough decisions about your healthcare. 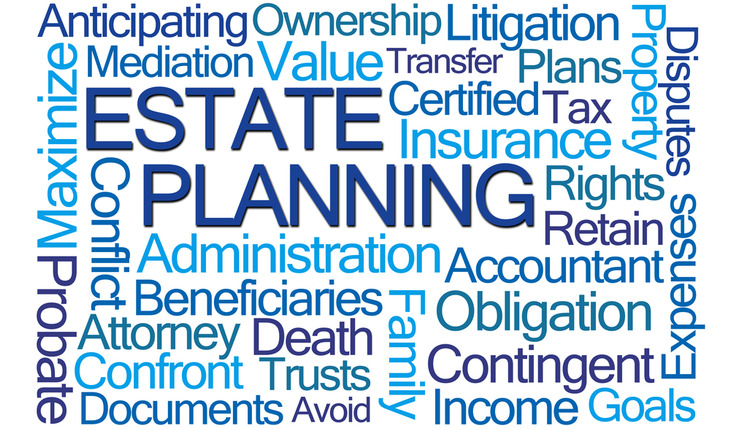 There are online services that can prepare a will, but that may not be the best route.Laws and rules are always changing, so it’s better to consult with a professional who understands all the nuances. Ernie Burns, president and chief executive officer of Burns Estate Planning and Wealth Advisors (www.burnsestateplanning.com), has more than 25 years’ experience in retirement income planning. He is an Investment Adviser Representative, and also is a Master Certified Estate Planner (MCEP) and a Million Dollar Round Table-Top of the Table Member (MDRT). Burns also is host of Total Retirement, a 30-minute television show. He has been published and/or quoted in Fortune Magazine, Entrepreneur Magazine, Money Magazine and Bloomberg BusinessWeek. Burns Estate Planning and Wealth Advisors is now the “Official Wealth Management Firm of Southeastern Athletics” for Southeastern Louisiana University.